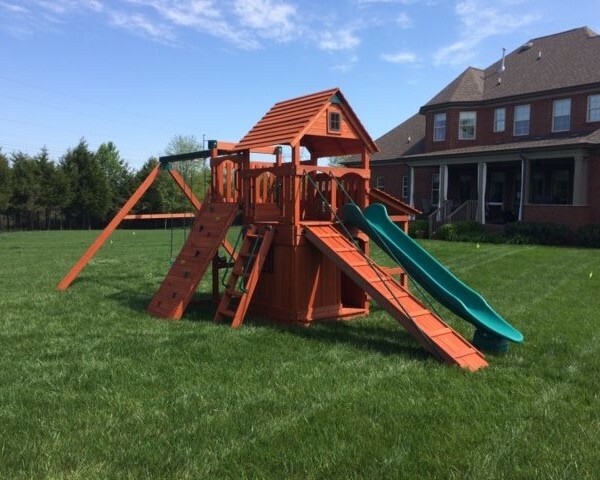 Magellan 5 mixes them all together with the fort, lower enclosure, and tower. 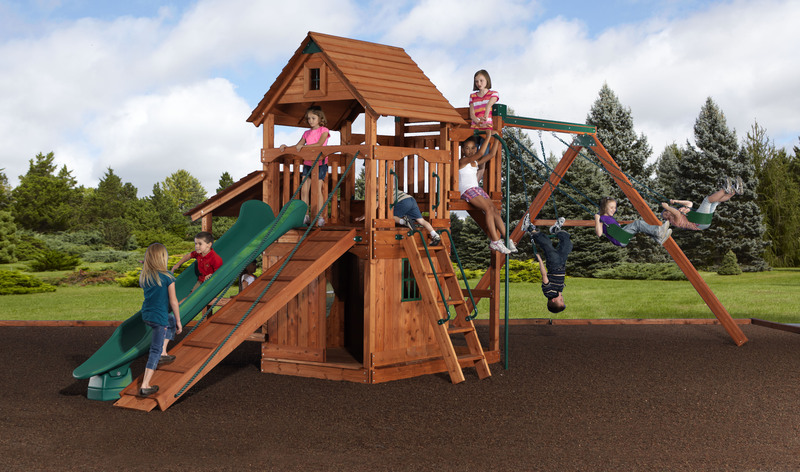 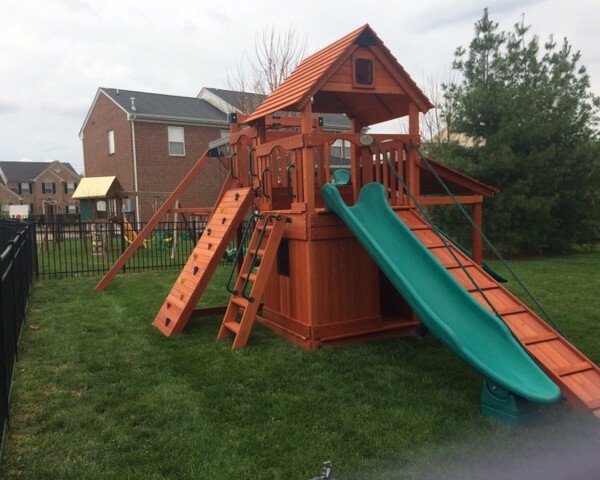 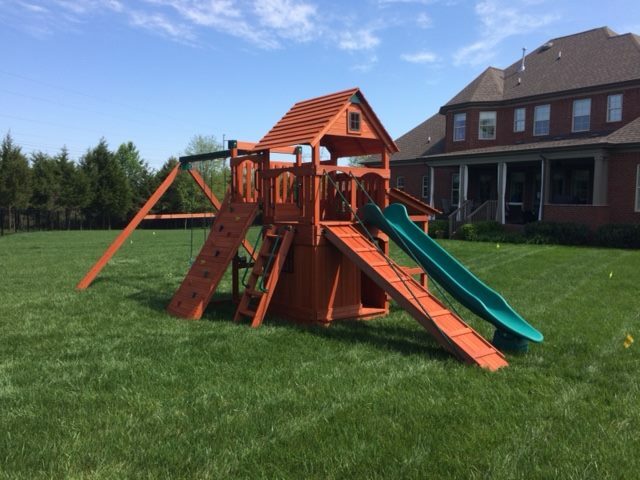 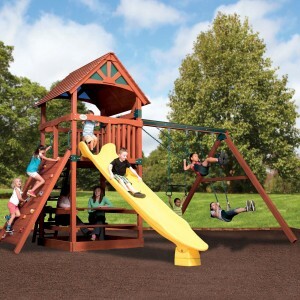 The 5′ high fort deck has the standard ladder, 10′ rocket slide, and the gang plank all ready for climbing, sliding and “walking the plank!” The tower has the 6′ solid rock wall on one side and on the other a fireman’s pole! 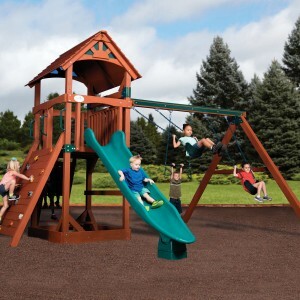 The 3 position swing beam is the higher 9′ version with longer swing chains for more soaring back and forth. 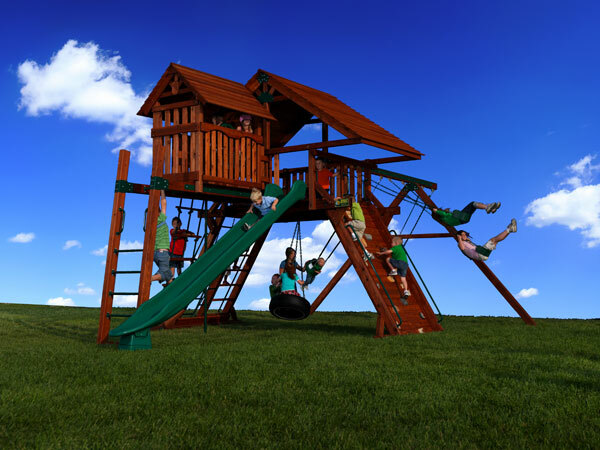 This great swingset will last for years and make memories that last a lifetime.